Time For Thai SG - Yummy Thai Food With NETT Prices Opp Beauty World Centre That Opens Till 4am Every Day! 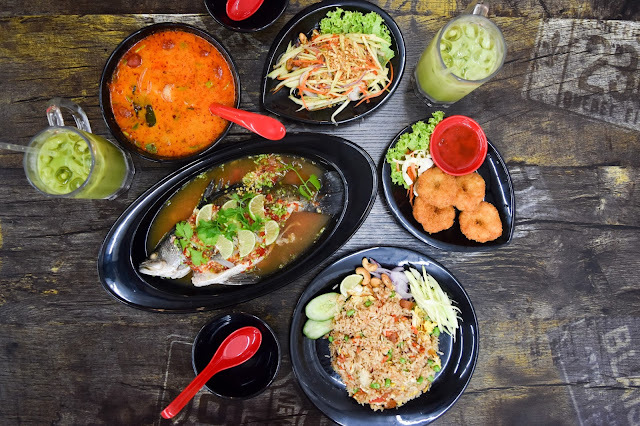 When it comes to Thai food in Singapore, you can already list down a few of the more popular establishments at the top of your minds because there's only that many selection to go around. 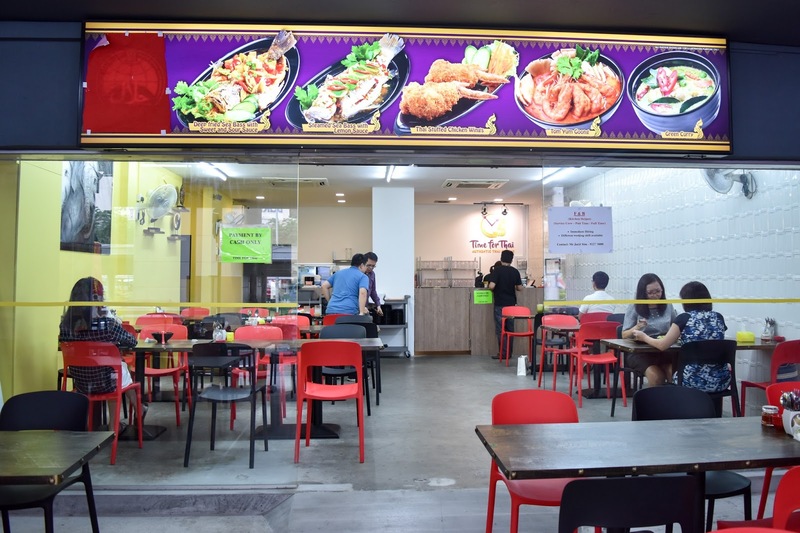 However, something we haven't been able to find is Thai establishments that open till 4am in the morning (they will only start doing so from October 2017, but opens till 12am now!) to satisfy your immense cravings for a good Tom Yum Goong or Pad Thai in the wee hours of the morning - and also a more wholesome alternative for you to turn to other than Mac delivery! 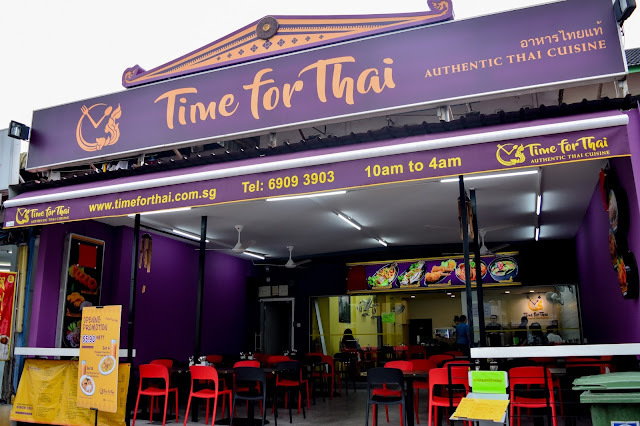 Located opposite Beauty World Centre, Time for Thai is the up and coming Thai establishment in Singapore that serves affordable and authentic Thai cuisine that's perfect for students and families! Most of their staffs are Thai, and even the chef, too, has acquired many years of culinary experience working for one of the top Thai eateries in Singapore - not gonna name who but they've outlets at Hougang, Bedok and more! Plus, they do not serve pork or lard and also do not charge service charge and GST! 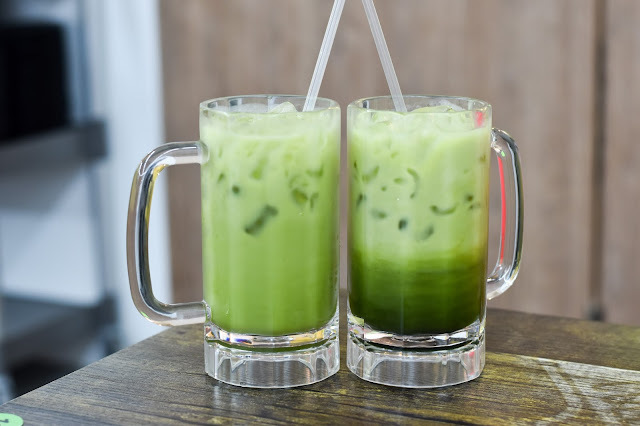 Their Thai Green Milk Tea is concocted from the Original Cha Tra Mui milk tea brand from Thailand. And, it's green because it's prepared from Cha Yen! 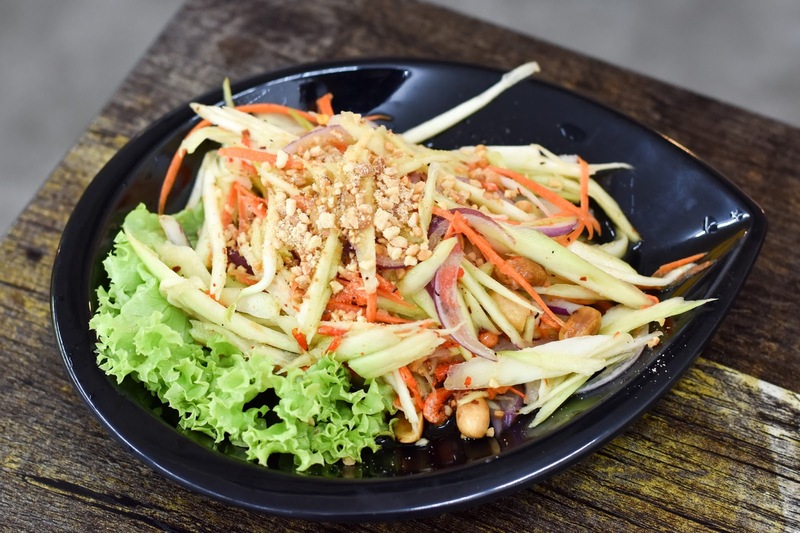 A wholesome combination of mango slaw, assorted greens and nuts in this plate of goodness. 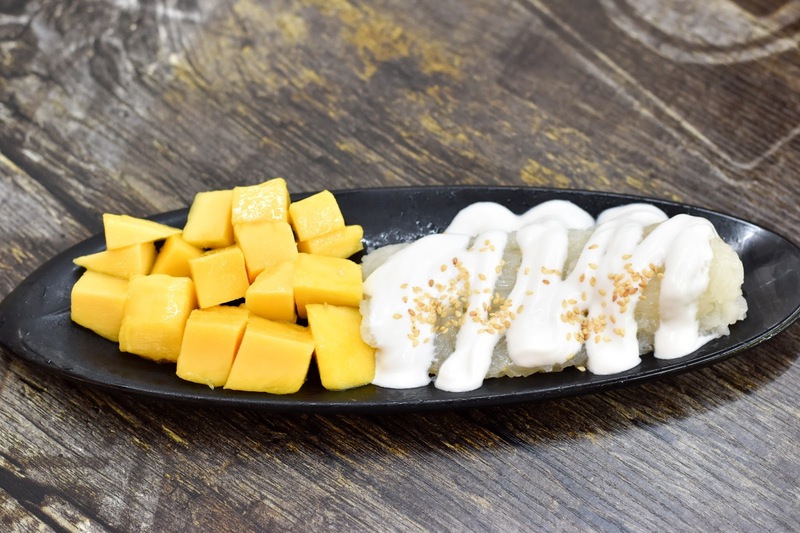 This makes a really good appetiser because the tart mango salad helps to alleviate your palates and prep you for the other yummy Thai dishes to come! 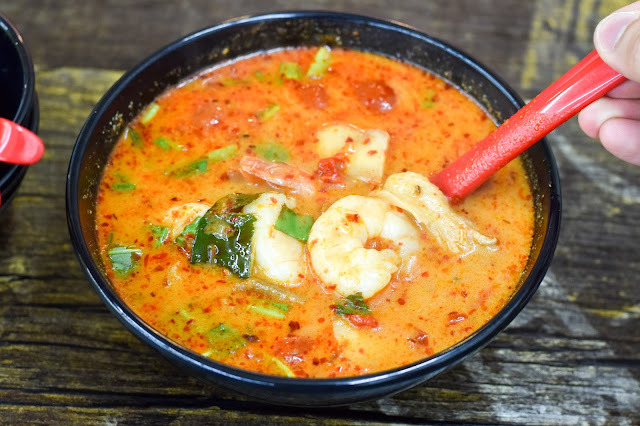 Authentic red Tom Yum Goong with fresh seafood? Yes, please! 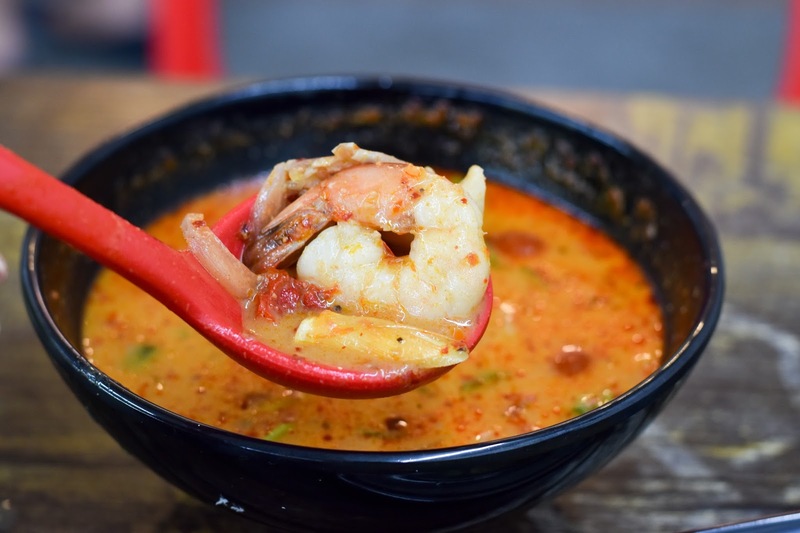 This bowl of soup is packed with fresh prawns and strips of shiitake mushroom. 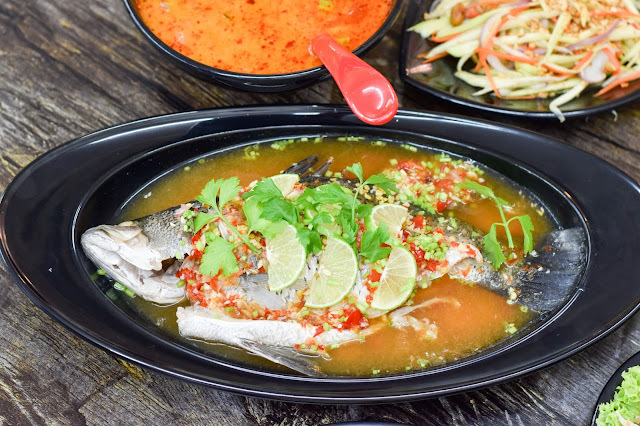 Plus, you can also opt from different level of spiciness - we opted for Level 1 and were already reeling from the intensity of the heat! If you are a sucker for all-things Tom Yum want a really shiok Tom Yum Goong that will challenge your intake of spicy food, this is definitely one dish you should order. 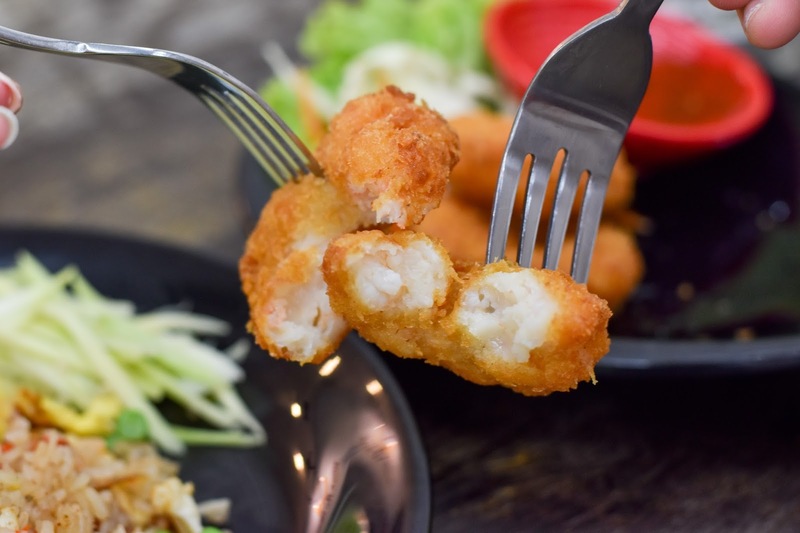 What's Thai food in Singapore without ordering prawn cakes? 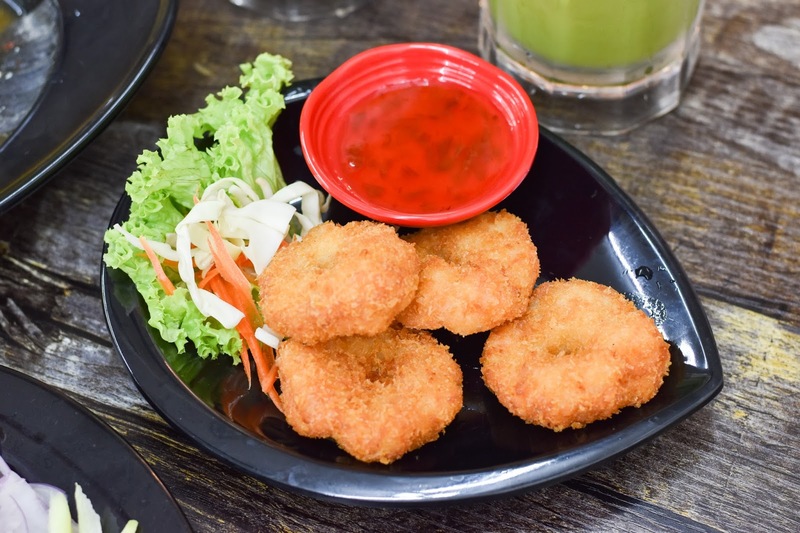 These delicious and plump fried patties were another highlight of our meal at Time For Thai. Also, don't forget to dip it into the accompanying sweet chilli sauce! 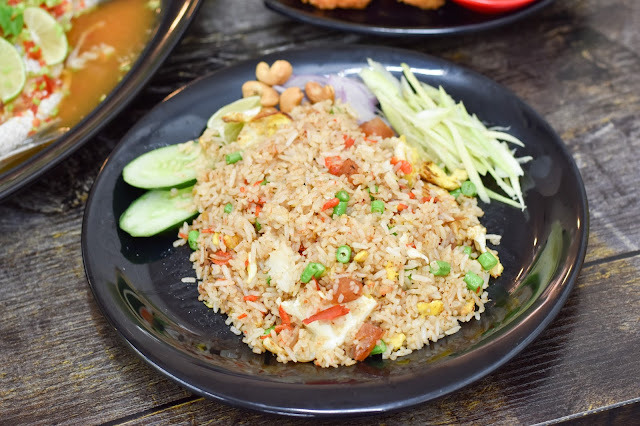 Among my many years of exploring Thai cuisine, I have never come across Shrimp Paste Fried Rice! 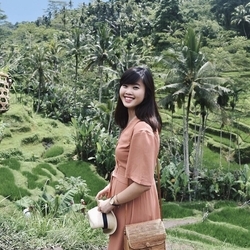 I always thought that Shrimp Paste was more of an ingredient you would see in Chinese dishes, but incorporating it into the family of fried rice ingredients wasn't that bad either - I mean, preparing fried rice is all about mixing and experimenting with what works, right? Also another signature Thai dish I will never fail to order whenever I visit a Thai eatery. What makes me love the Steamed Sea Bass lies in the lemon sauce. The sauce here leans towards the tarter side, and I felt that it could have had more room for that spicy kick! I must say that the fish was really fresh though! What's having Thai food without Mango Sticky Rice for dessert? Plus, it being priced at S$4.90 makes it extremely affordable as most places sell it at around S$6. The mangoes were extremely fresh and sweet, and was a good complement to the glutinous rice and the coconut sauce doused on it! Another signature Thai dessert! 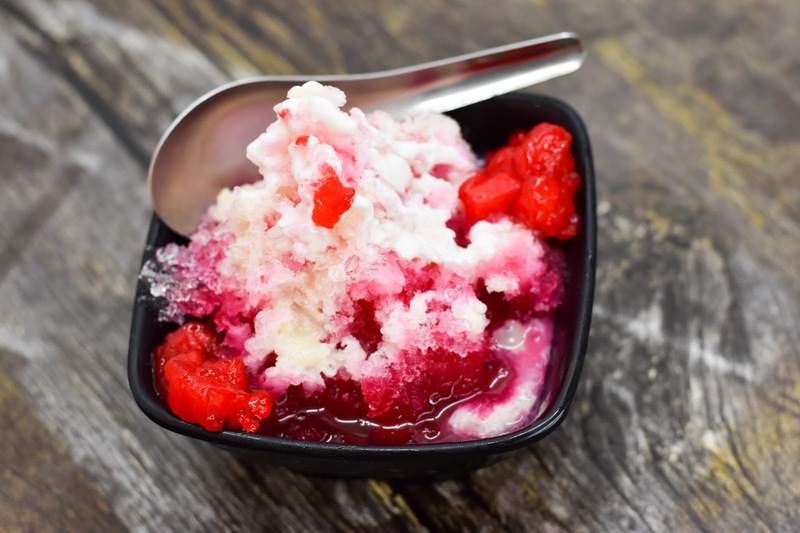 Expect generous morsels of red rubies in this bowl of dessert that comes with a really heartening crunch with every bite! It's not too sweet and works really well as a dessert to end a sweet note to your meal!